It almost sounds like the beginning of a joke: “A Soldier, an Athlete, and a Farmer…” But what it really is is a prescription for living a wise life. All too often we fall into the trap of reducing life to being “right” or “wrong.” We want to be correct. We want to be strong. We want to be right. And we want others to recognize our “rightness,” our “correctness,” and our strength. But what if life isn’t about being right, or correct, or strong? What if life is about being wise? Our modern world seems to be directly opposed to wisdom in its never ending struggle for rights or the delusion of “fairness” or even “justice.” All the while missing the point that these worthy realities aren’t goals at all as much as they are byproducts of wisdom and love. But because we moderns have confused the results with the purpose, we keep getting bogged down in fruitless pursuits. And wisdom suffers. St. Paul gives his spiritual son three key insights from real life to help St. Timothy as he does his work at a parish priest. But these same insights will also assist us in overcoming the temptation to confuse the results of wisdom with the purpose! First, a Soldier doesn’t forget his purpose. What is your greatest enemy to living a wise and consistent life? Entanglements with other priorities. A diffused energy always produces less. A divided mind always confuses life. And a divided heart is always paralyzed. But a soldier understands that, if he is going to survive the battle; if he is going to achieve his objectives, he has to stay focused and disciplined in his choices. This kind of discipline leads to wisdom. Next, an Athlete doesn’t dismiss the labor to win the race. Any athlete knows if he is going to win, he has to put in the practice time, the training time, and the singular focus necessary to finish the race. Everybody cheers the winner, but very few of us take the time to appreciate the years of training, sacrifice, and discipline the athlete accomplished to win the crown. So, too, with a wise life. 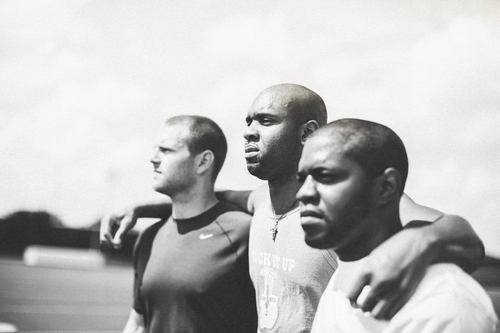 It takes the dedication of an athlete to run the race of life well. Not settling for almost, or “that’s good enough.” But the dedication and strength of character necessary to gain wisdom wins the race of a well-lived life! Finally, the Farmer doesn’t ignore the harvest. A farmer doesn’t just focus on the work of the day, but appreciates that his ability to do the work well means he has to keep his mind on the end result – the Harvest. And he knows that this harvest isn’t just going to put food on his table but also serve all around him as well. It’s his consistent remembering the reason for the work that protects him from both despondency and fatigue. So, it is with the wise follower of Christ. Never forgetting the reason for the spiritual labor steels the disciple for the hard work to produce the harvest of wisdom in his life! Today, are you more interested in being right or being wise? If you’re wise, rightness takes care of itself. But you won’t be able to get to that place of wisdom without the consistent work of the Soldier, the Athlete, and the Farmer. Only then will you understand why it’s worth being Orthodox on Purpose. P.S. Do you know how the saints assist us in spiritual warfare and to overcome fear? 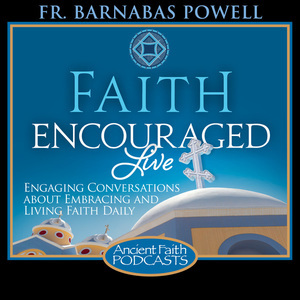 Listen Sunday at 8 PM Eastern for Faith Encouraged LIVE on AncientFaith.com!